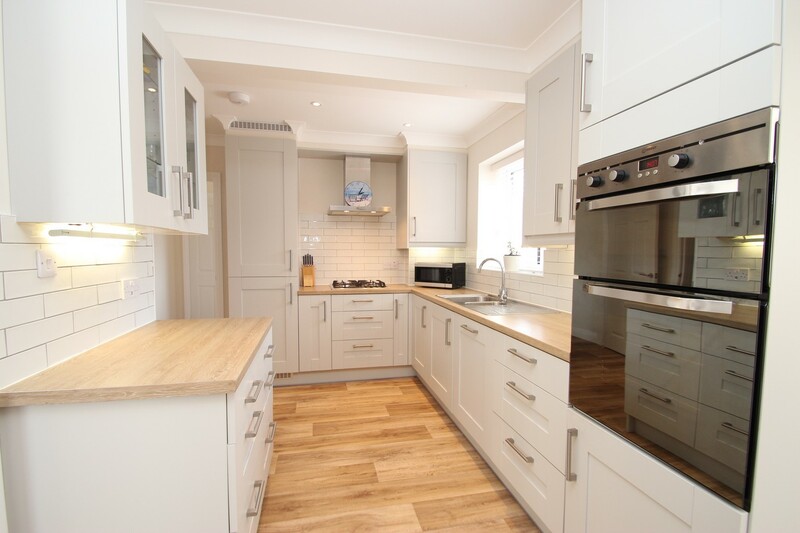 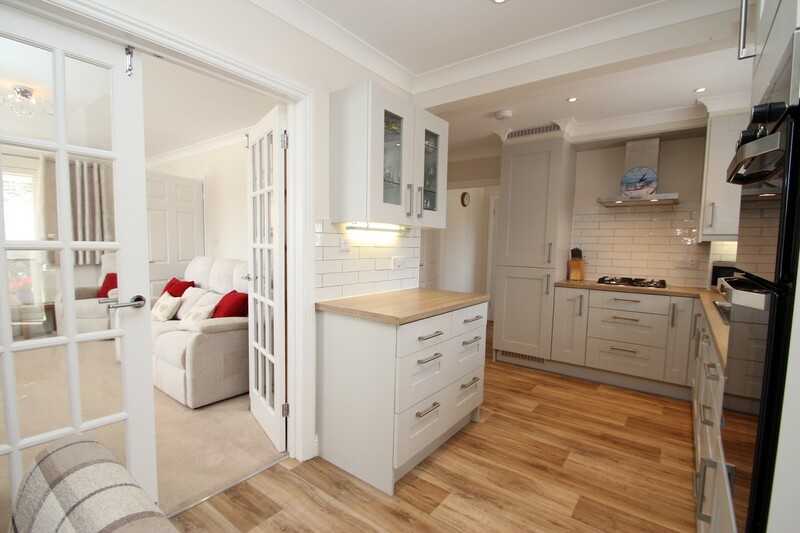 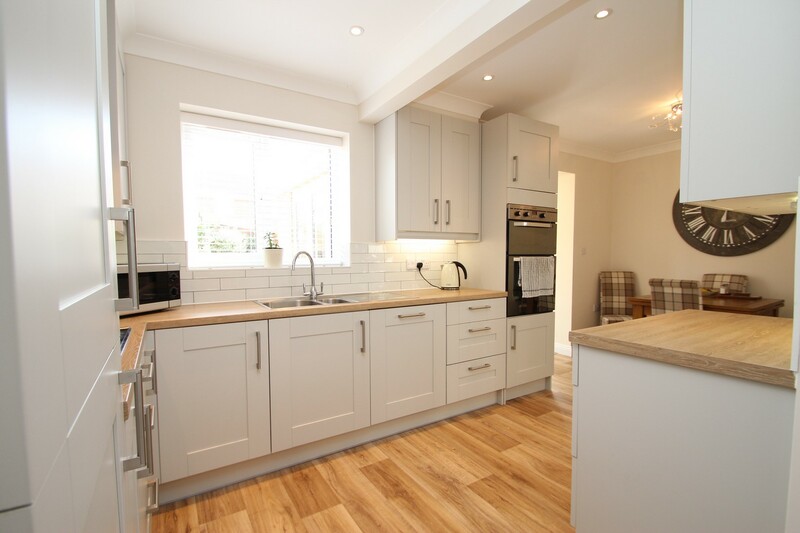 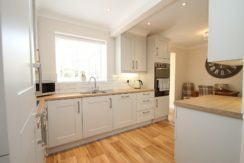 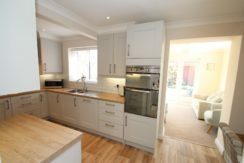 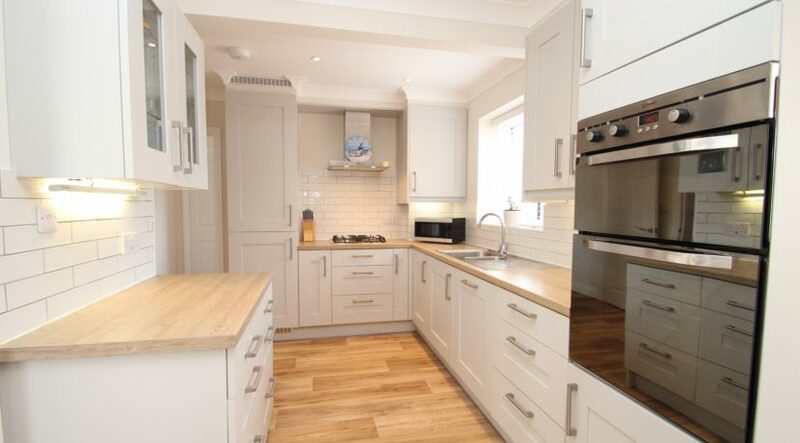 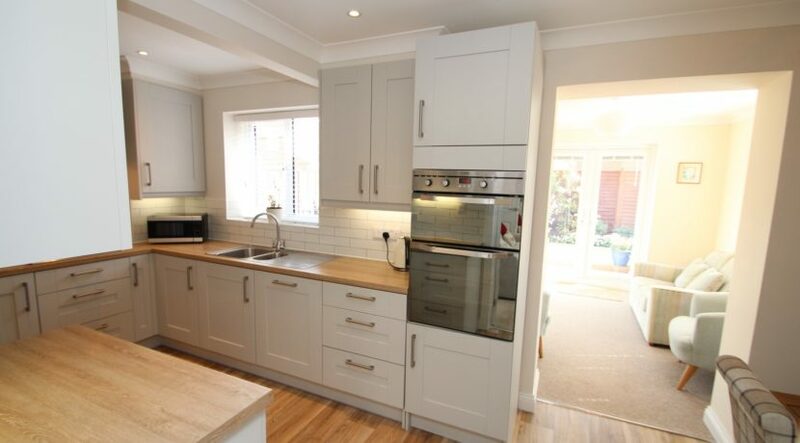 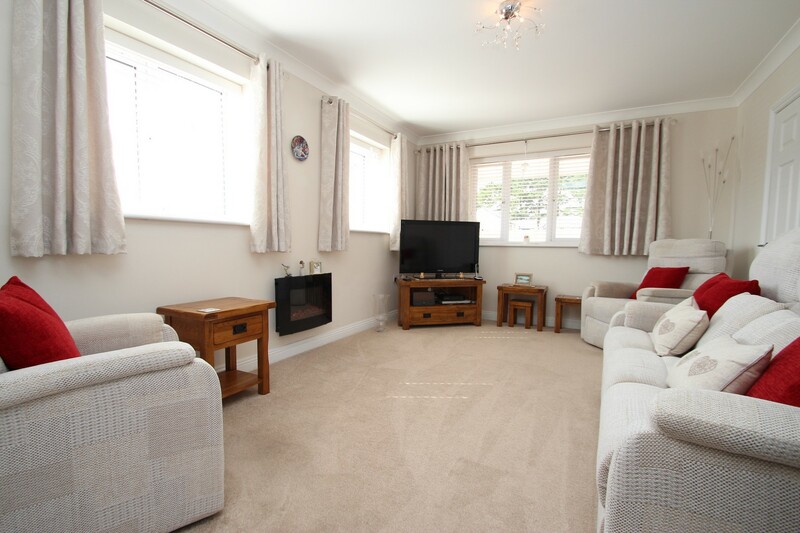 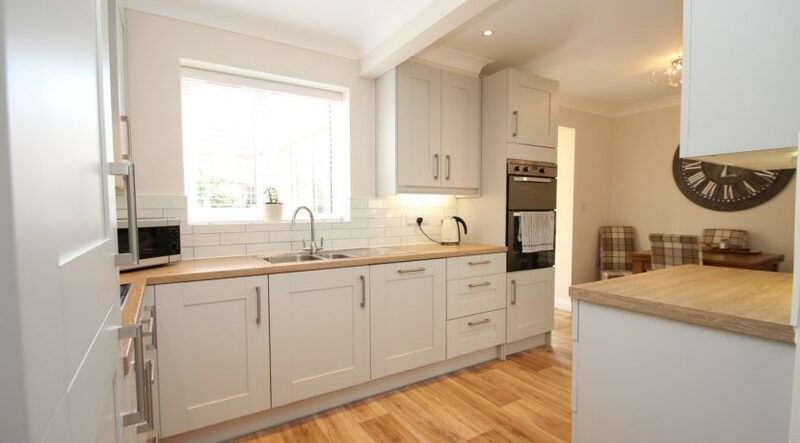 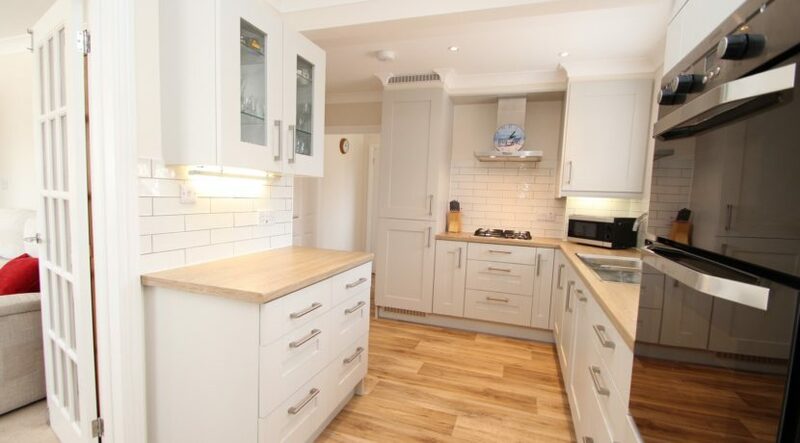 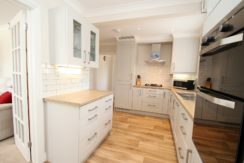 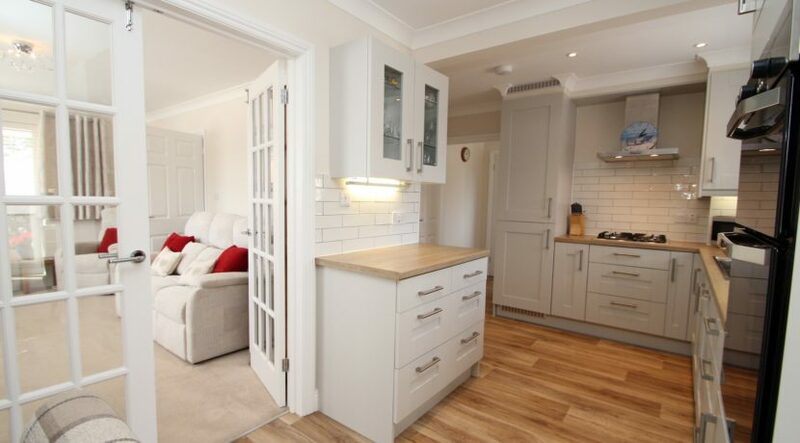 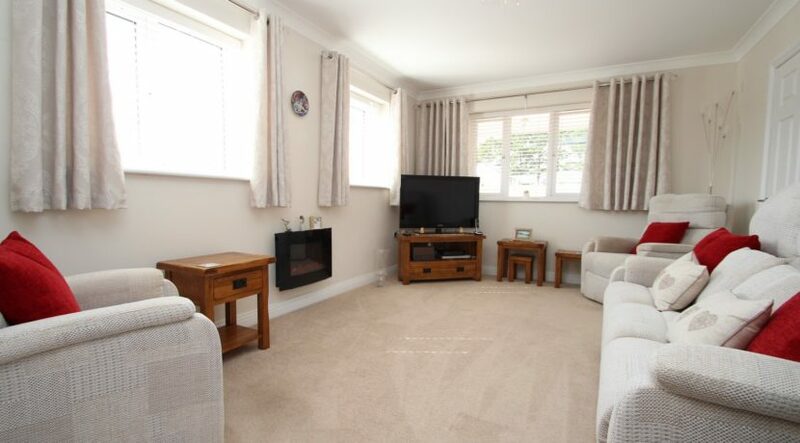 Situated on the highly popular Hoburne Farm development, A three bedroom, two bath / shower room detached house built in 2016 which is presented in immaculate order throughout and benefits from a wonderful rear extension. A part glazed composite front door leads into an enclosed entrance porch where a further glazed composite door leads through to the hallway of the house. 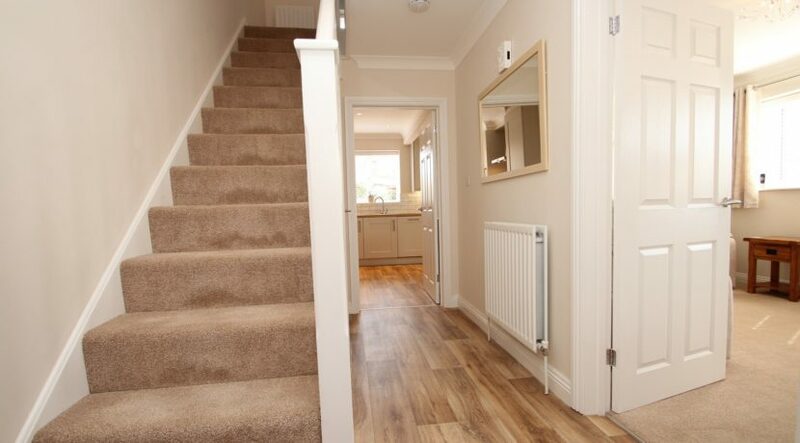 From the hallway, stairs rise up to the first-floor accommodation, there’s an under-stairs storage cupboard, doors lead through to the living room and kitchen. The living room is of a generous size, has double aspect windows to front and side which bring in a good degree of natural light throughout the course of the day, there’s a wall mounted electric fire, double opening, glazed doors open through to the impressive kitchen / dining room. The kitchen / dining room is beautifully finished with a good range of wall mounted and floor standing units which are surmounted by roll top work surfaces, there’s an inset stainless-steel sink unit with mixer taps and a side drainer, built in fridge / freezer, built in dishwasher, built in ‘eye level’ double oven, inset 4 burner gas hob with a stainless steel extractor hood above. 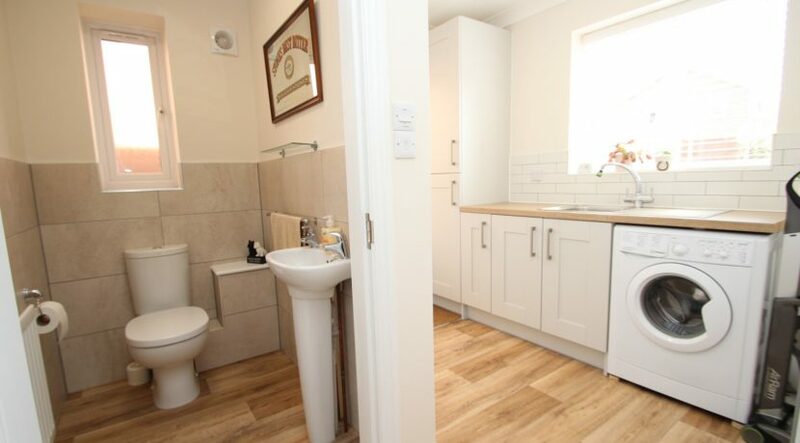 A door leads from the kitchen through to the utility room which has a range of floor standing units which are surmounted by roll top work surfaces, a wall mounted ‘Glow worm’ boiler is neatly concealed into one of the units, a stainless-steel sink unit is set into the work surface, space and plumbing beneath for a washing machine, good range of storage cupboards, access out to the side path is via a double glazed casement door. 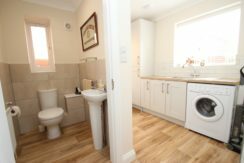 A door leads from the utility room through to the cloakroom which has part tiled walls, close coupled wc and a pedestal wash hand basin. 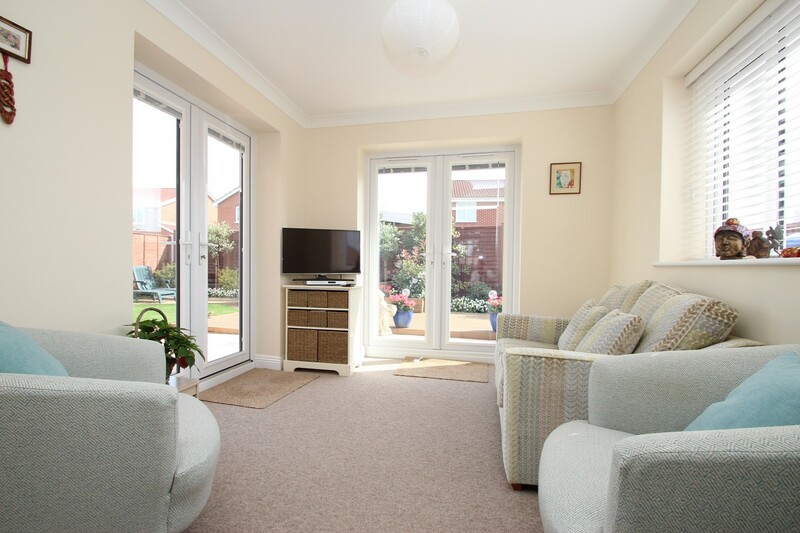 A squared arch leads from the kitchen through to a further sitting room which was added in 2017, this is a spacious room which overlooks and has access onto the superbly landscaped rear garden via 2 double opening, double glazed casement doors. 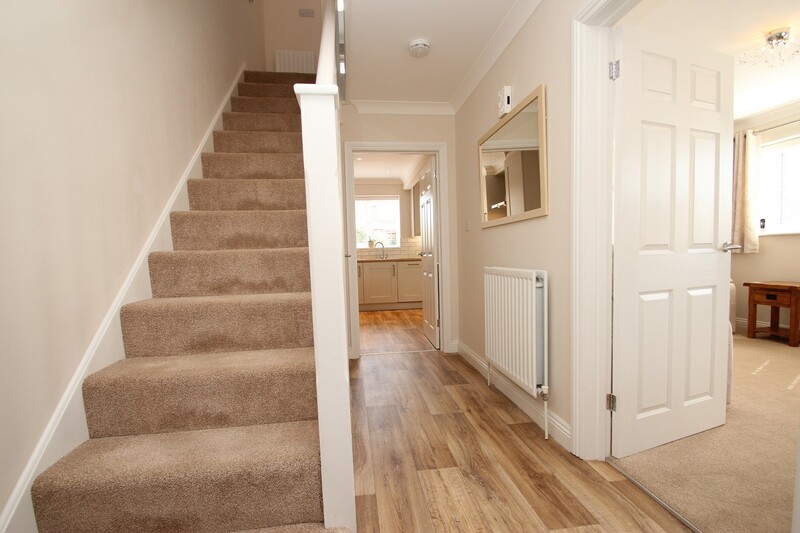 The first-floor landing has a hatch up to the loft space and doors lead into the bedrooms and bathroom. 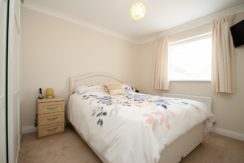 The main bedroom is generous in its’ size, benefits from fitted floor to ceiling sliding triple wardrobes and an en-suite shower room which has modern fitments throughout. 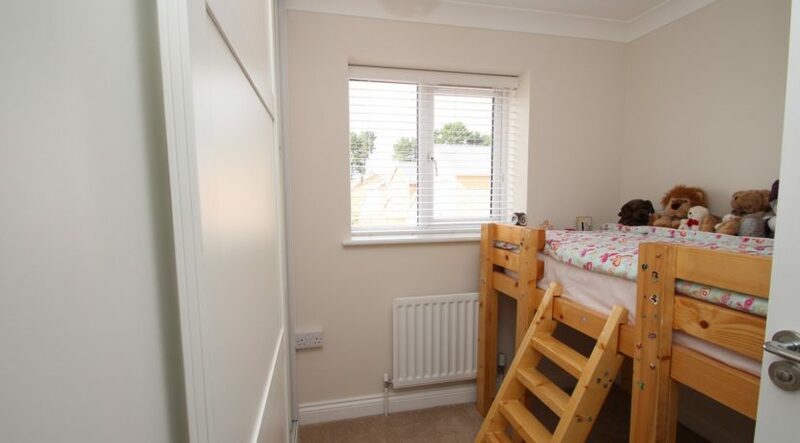 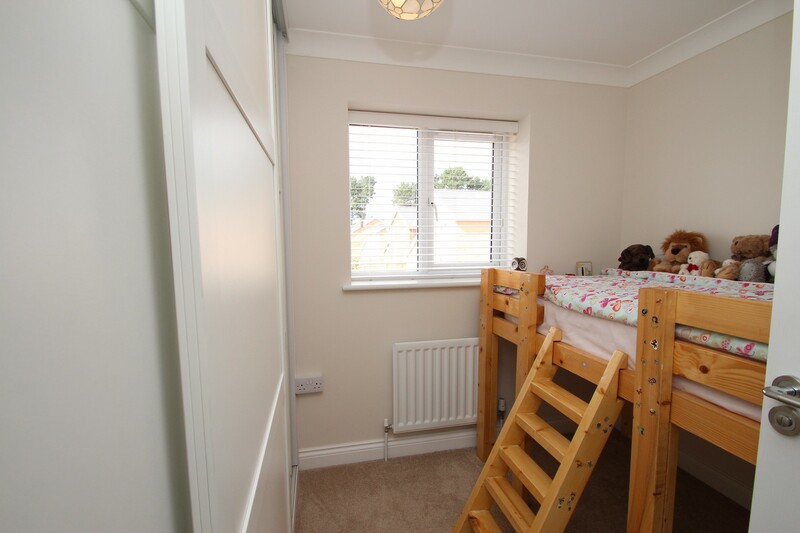 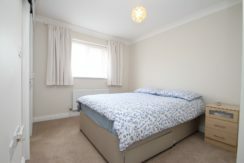 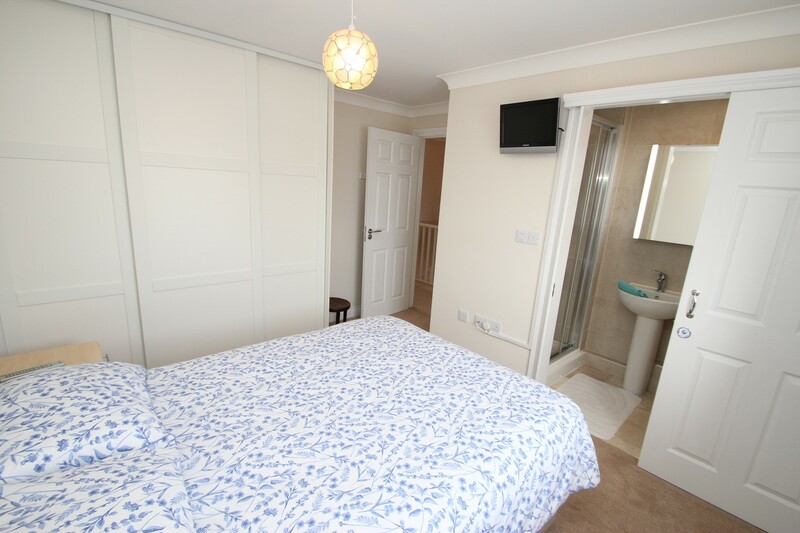 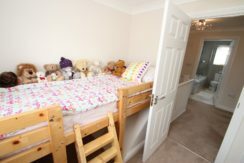 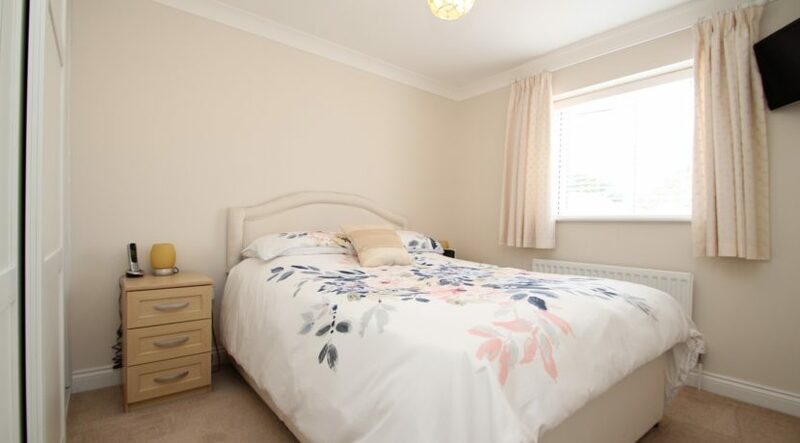 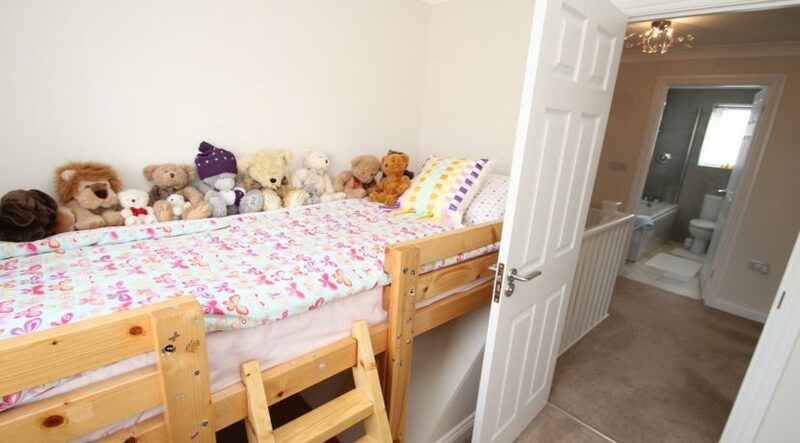 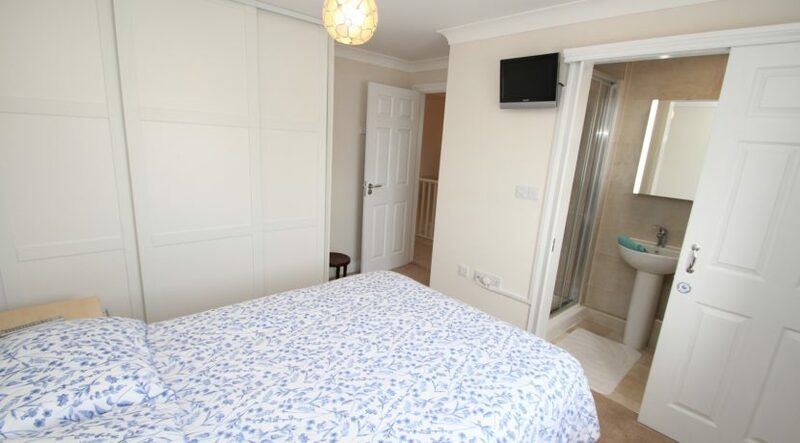 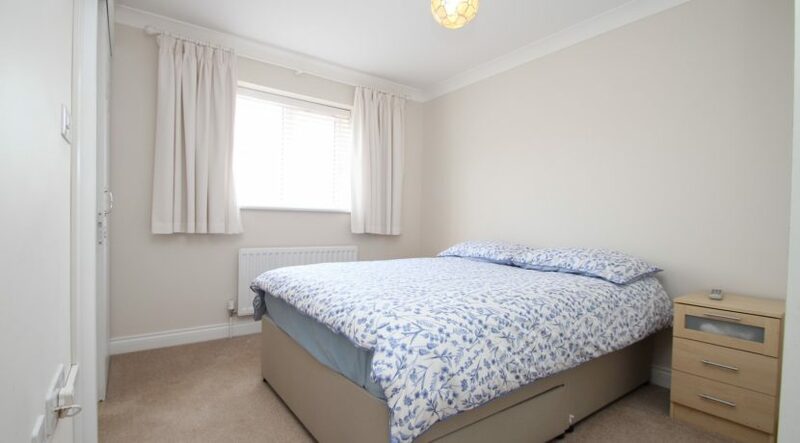 Bedroom two is also a good size double room with fitted floor to ceiling sliding triple wardrobes with a bedroom three being a single room with fitted floor to ceiling sliding wardrobes. 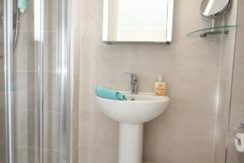 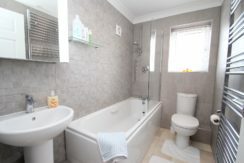 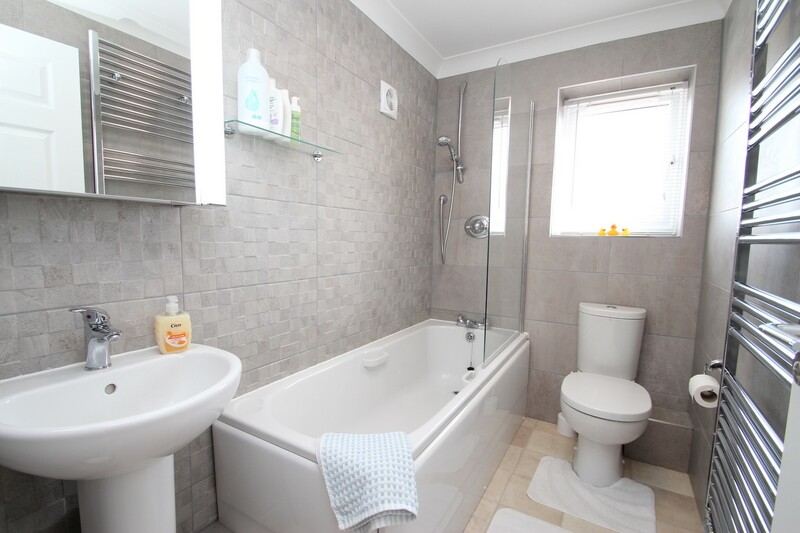 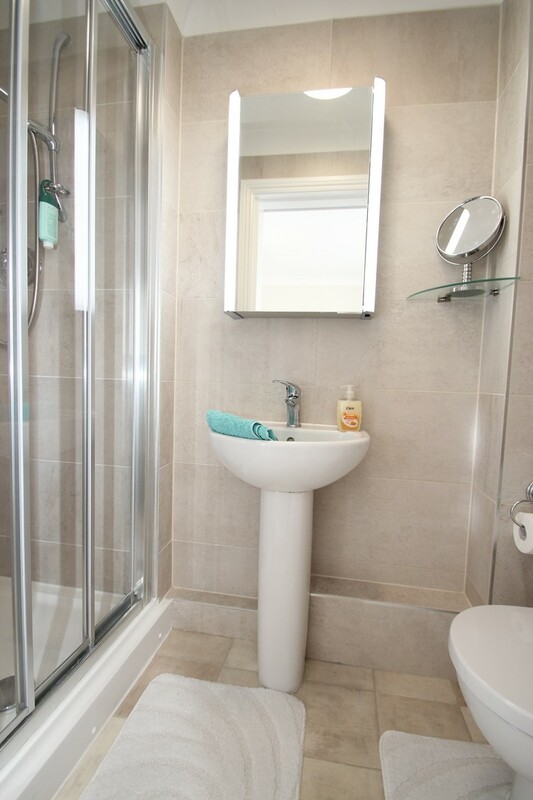 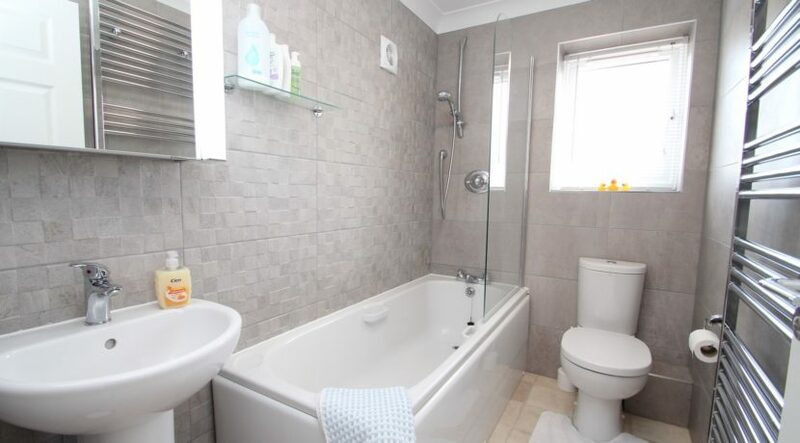 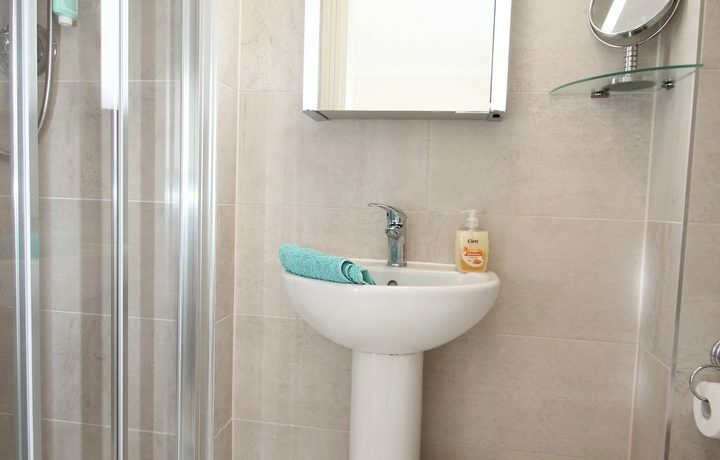 The family bathroom is beautifully finished with modern fitments throughout. 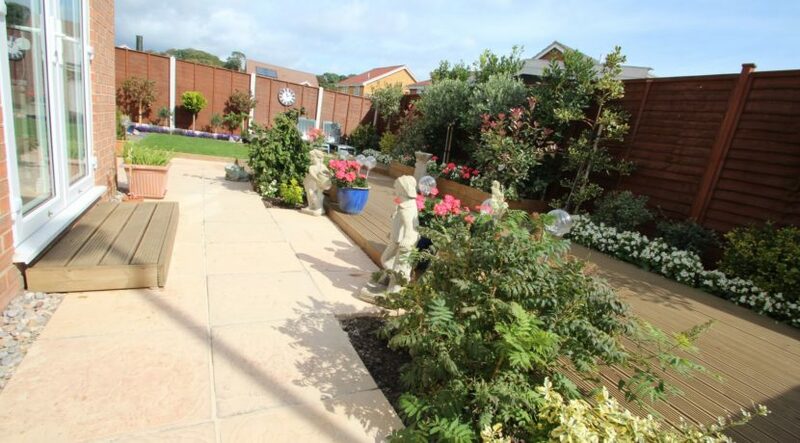 The rear garden has been superbly landscaped by the current owners with a patio area adjoining the rear of the house, there’s an area laid to lawn, decked areas’ to the bottom and side which are perfect spots for entertaining / BBQ’s, there are raised beds to the rear and side which display a colourful variety of plants, there’s access down both sides of the house which lead to the front via lockable timber gates. 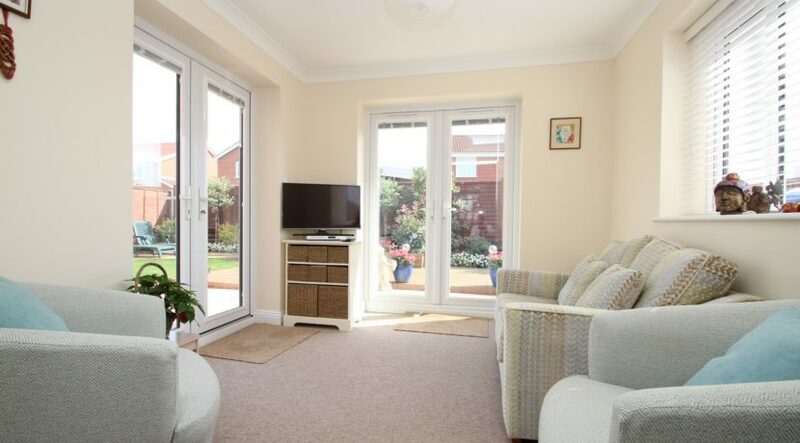 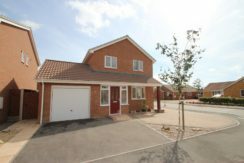 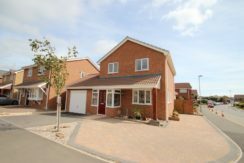 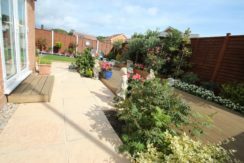 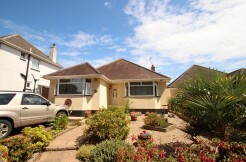 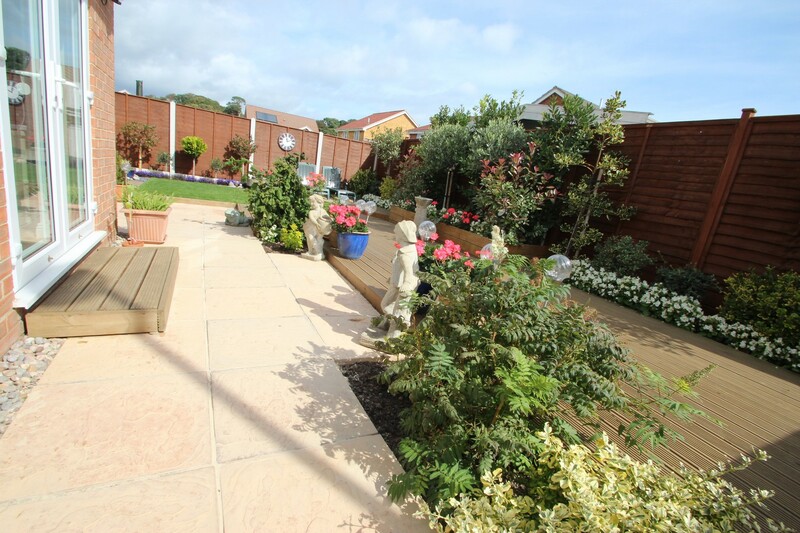 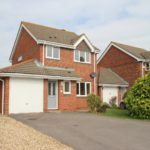 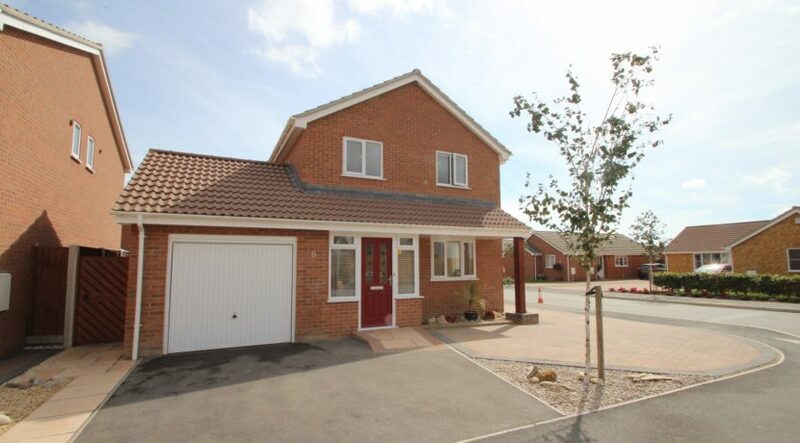 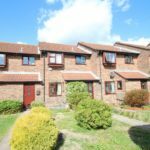 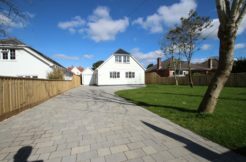 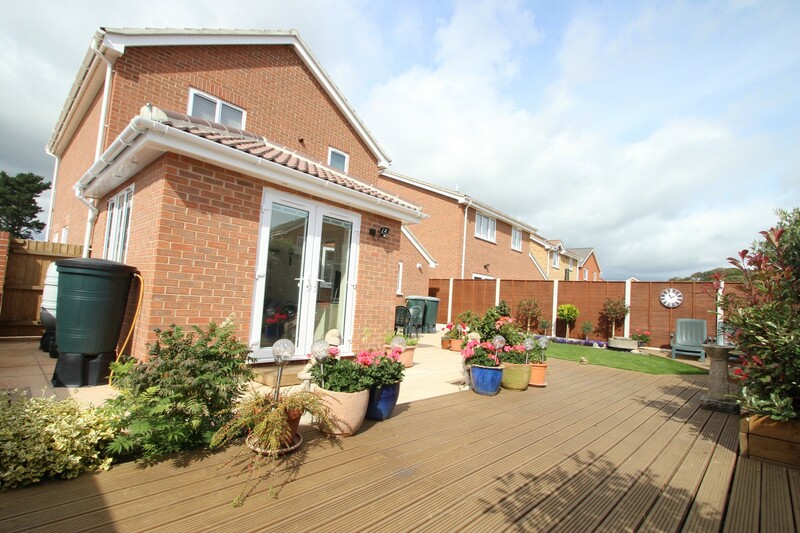 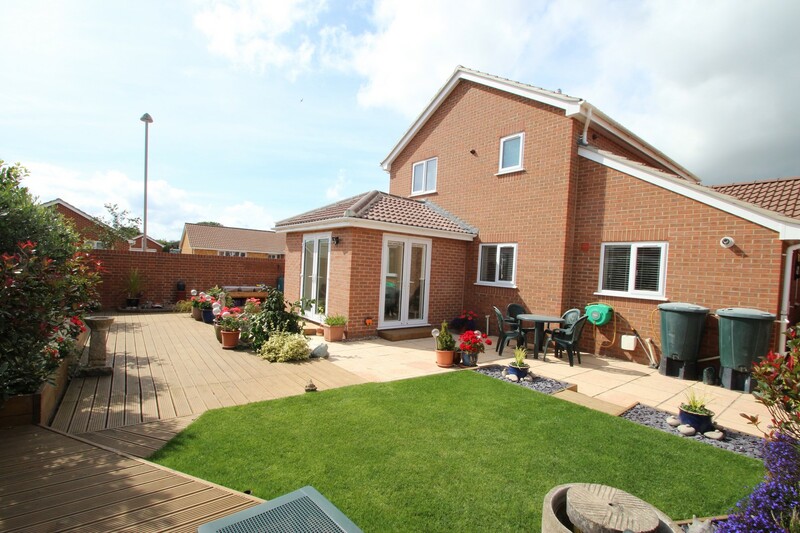 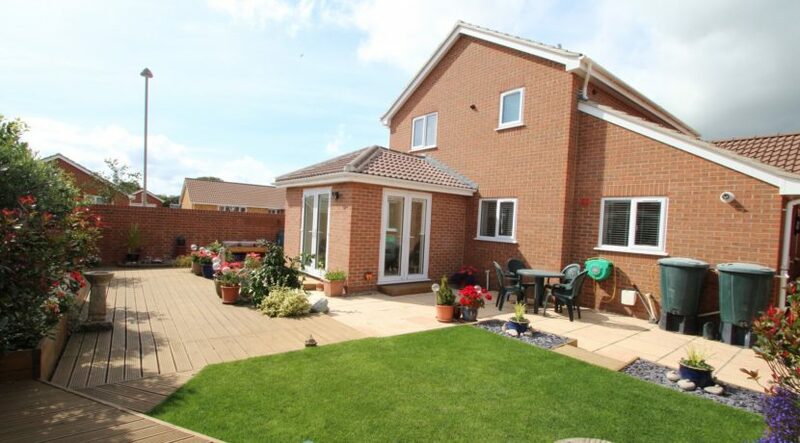 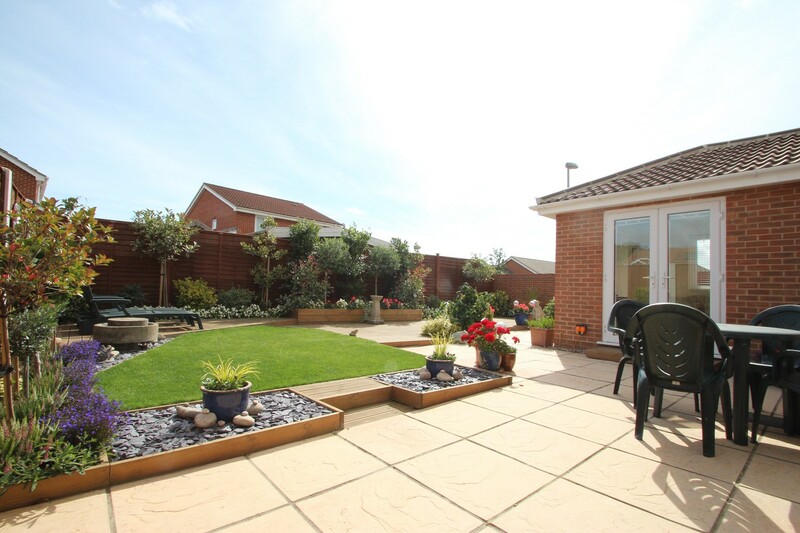 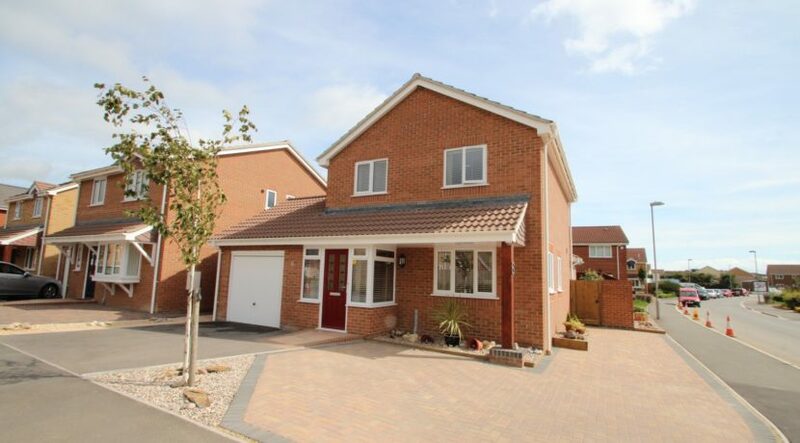 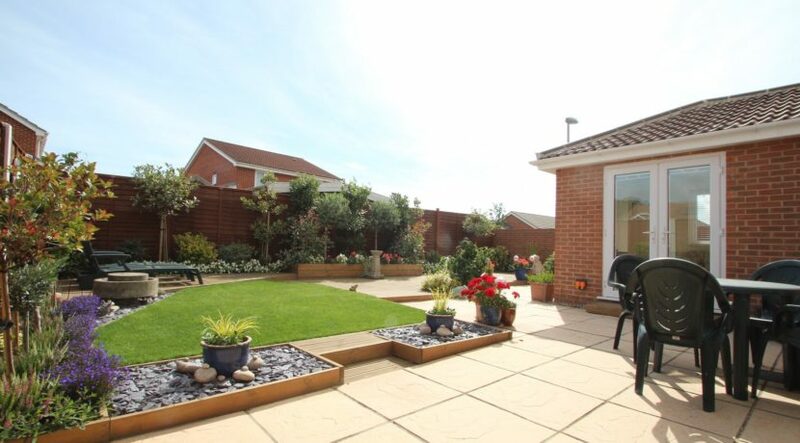 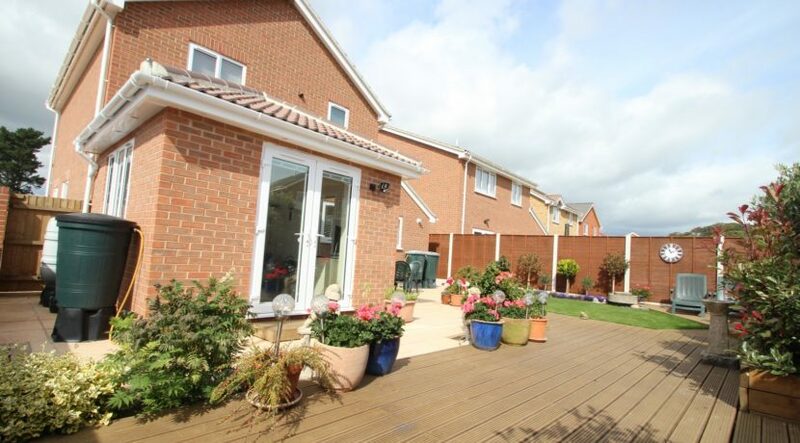 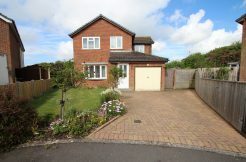 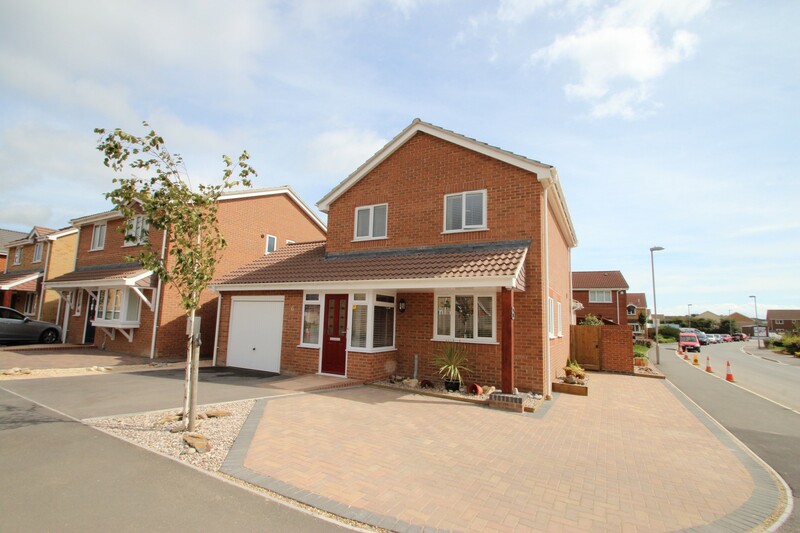 The front drive offers off road parking which in turn leads to the single garage which has an up and over door, power and light, the garden to the front has been mainly laid to block paving which can provide additional parking should the need arise.